Adding a coloured toilet seat is one of the simplest yet most effective ways of giving your bathroom a coordinated finish. All the popular colours are catered for here, including black toilet seats and red toilet seats so there's something for every colour room. Choose from a huge range of toilet seats in a variety of hues and complement the colours already dominating your bathroom. Choose bright colours such as pink and purple seats to stand out from the crowd or select something a little more subtle with a grey or champagne toilet seat colour. 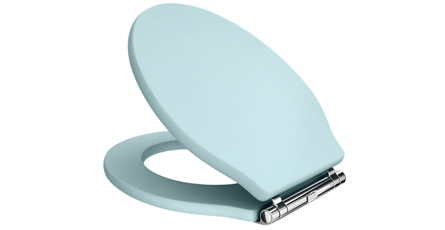 These stunning coloured toilet seats are well made and designed to be robust; perfect for daily family use. There's nothing worse than toilet seats which don't last five minutes, so each one is built to the highest standards and finished off in a style.